Open a door and see what’s behind it! Give the boy something to eat. He’ll even say “Thanks!” Color a cat with the help of the magic crayon! Push a button and watch the elevator door open-what could be inside? 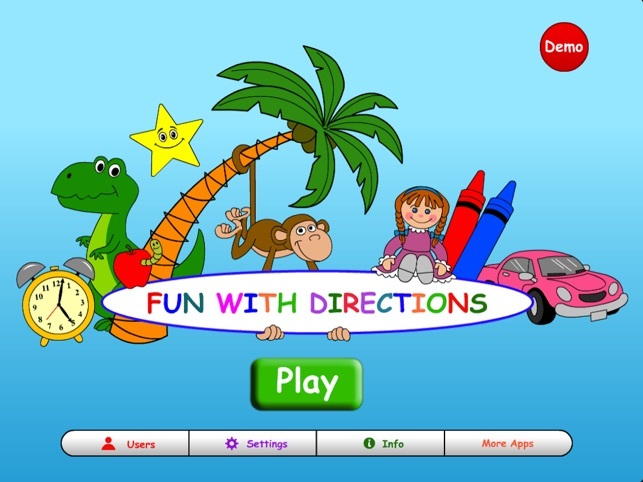 Fun with Directions is a ground-breaking app for the iPAD, designed to provide a fun and engaging way to practice listening, following directions, colors, spatial concepts, auditory memory and auditory processing. From the simplest of directions (“Touch the cat”) to the more complex (“With your orange crayon, color the large one that is a furry pet and likes to chase mice”) your child can grow and learn with this game over time. Colorful, vivid art and animations against a white background combine to create a complete game experience without visual clutter. Sound effects and surprises keep the game engaging! 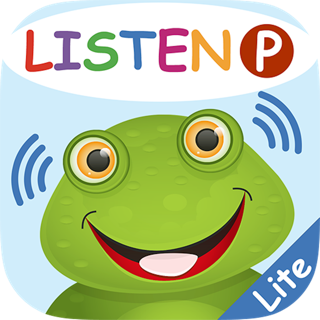 This app is a great choice for a toddler/preschooler, or any young child who would like to practice listening to or reading directions! 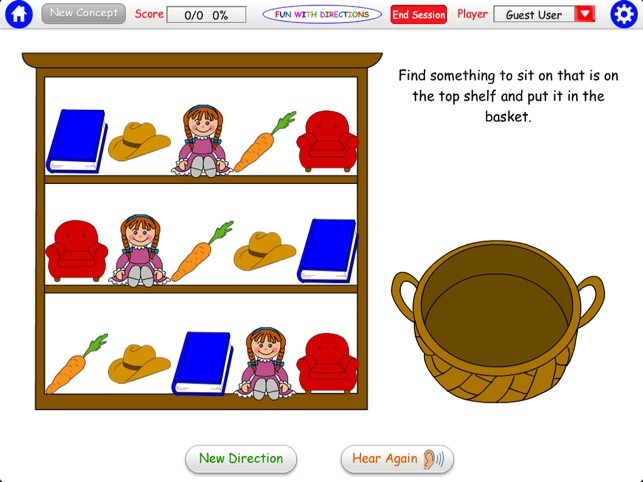 Included are ten concepts: Give, touch, open, close, top, middle, bottom, push, color, erase. 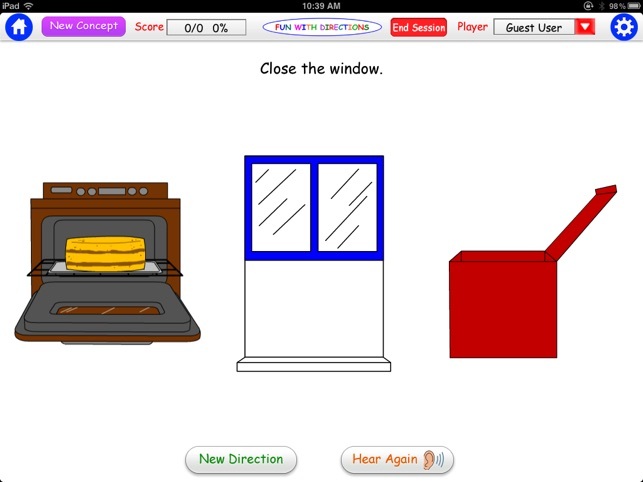 Features include settings for data collection, individual (up to 75users) vs. group play, automatic advance or manual advance to next direction, touch/drag OR touch/tap option, text on/off, (to practice reading vs. listening) selecting specific concepts, and the desired level of play: easy, intermediate, and advanced. An added bonus that is included in this app is the optional “Superstar Direction” which allows additional practice for remembering (“What did you have to do?”) but also expressive language. The child’s response is recorded and played back. Superstar Directions can be set to a variety of intervals or turned off completely. Hamaguchi Apps is dedicated to the mission of bringing high-quality apps to the general public and professionals for affordable prices. I love this app!!! 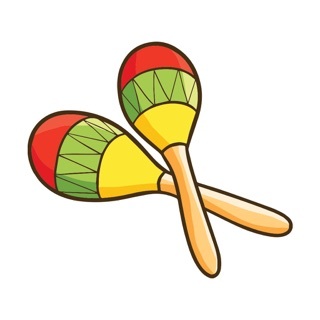 I like the "repeat" feature as well as some of my students need repetition. Glad you like the app! Enjoy! I'm a mother to preschoolers who have just been tested for their IEP. I was very interested in the forms the testing took and the holes it revealed in their knowledge. 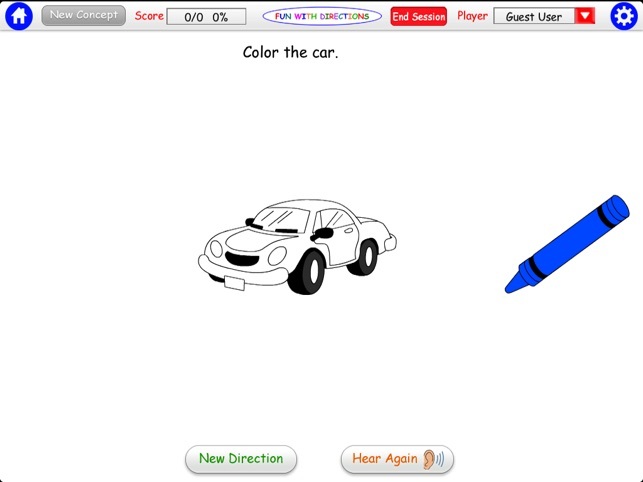 One of the tests included how well they followed directions, located objects based on referential data (next to the purple car), and remembered multiple step directions. These are basic skills but my children were obviously developing them differently. This app is a basic version of what I hoped to find. Overall it helps their listening skills and works on some colors, positions, etc. I did find it not as polished from an "entertain the kid" learning game perspective. There's no flashy reward for getting it right. It's not obvious why some games ask for touching and others dragging (kids trying to carefully finger erase instead of drag and drop). I didn't know you could scroll through the right bar of objects and kept wondering why it asked for objects not on the screen. The random concept option obviously isn't quite random. Still, this addresses the concepts I wanted to work on, so great! 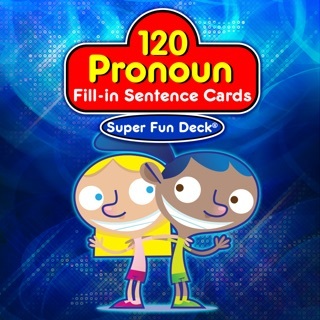 This app is fantastic for working on following directions with multiple modifiers and prepositions. 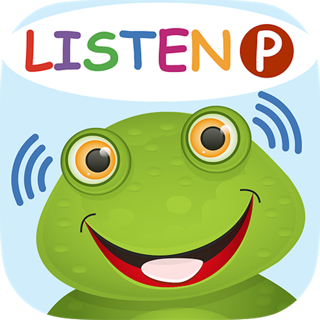 My students love using this app. They think it's a "fun" app, not a "work" app. 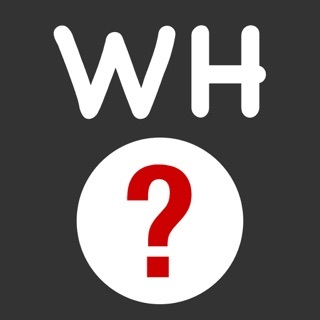 The app has 3 levels: easy, intermediate and advanced. You can work on all of the included concepts or customize the concepts for each student. You can create groups with each student working on different concepts or levels. 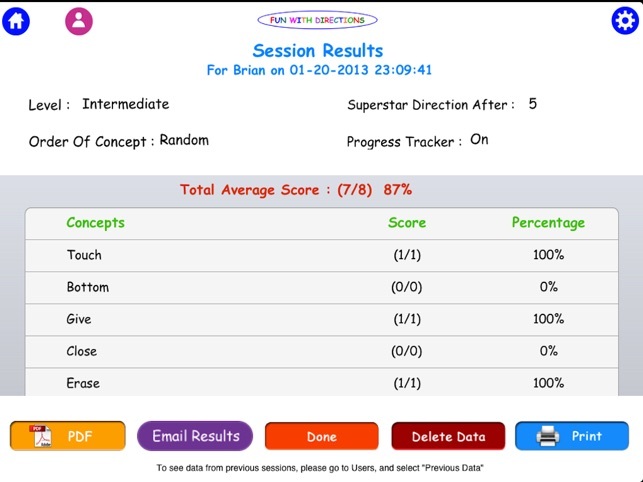 The app can record data on a student's performance for each concept per session. Data can be printed or emailed. There are no ads or in app purchases. There's a big difference in difficulty between the intermediate and advanced levels. I would love to see a level between the two. 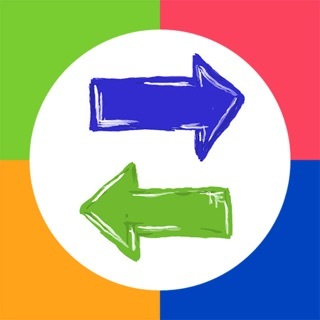 I'd recommend this app for speech therapists and for parents of preschoolers who need help with complex directions and directions that include prepositions.